See our Video page for videos and media. 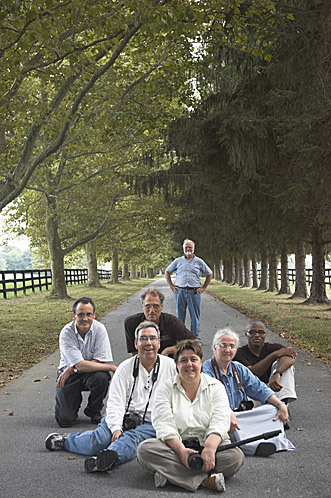 In an April, 2009 feature story in Southern Living magazine about Horizon, Annette Thompson said: "We met legendary National Geographic photographer Bob Madden on the bridge over the Chesapeake & Delaware Canal just before sunrise. I was captivated by the sleepy Chesapeake City emerging from a light fog....During the weekend I discovered the magic in taking my own pictures [to illustrate my stories]. You can too." The cover story of Cecil County Connections (August-September, 2006) was on Steve Gottlieb's upcoming book on Cecil County, Maryland. 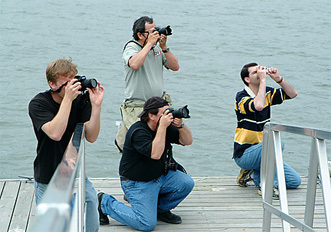 The story about Chesapeake City in the September 2006 issue of Waterfront Home & Design highlighted Horizon Workshops. 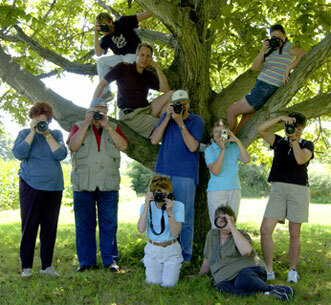 In a February, 2006 feature in Shutterbug magazine, Barry Tanenbaum reports: "For photography, the [Cecil County] area's ideal: wide-open spaces, great scenery, farms, five rivers, wildlife, picture-perfect small towns. Throw in accommodations and relatively temperate weather and it's a perfect place...[and it's] within a three hour drive of over 10% of the entire population of the U.S."
Website www.apogeephoto.com, one of the leading photography sites, features Horizon Founder Steve Gottlieb in "Behind the Workshops: Focus on the Instructors."